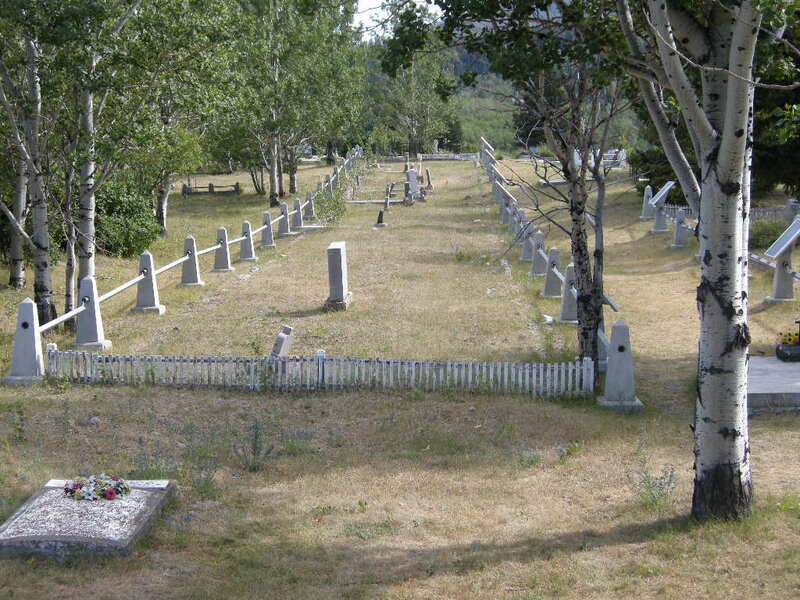 One hundred years ago on June 19, 1914 Canada’s worst mine disaster changed the Village of Hillcrest, Alberta forever. At about 9 a.m. a massive explosion thundered through the mine. Of the 235 men working the morning shift 189 were killed. In a few seconds wives became widows and children lost fathers. The Pass was rocked to its core. 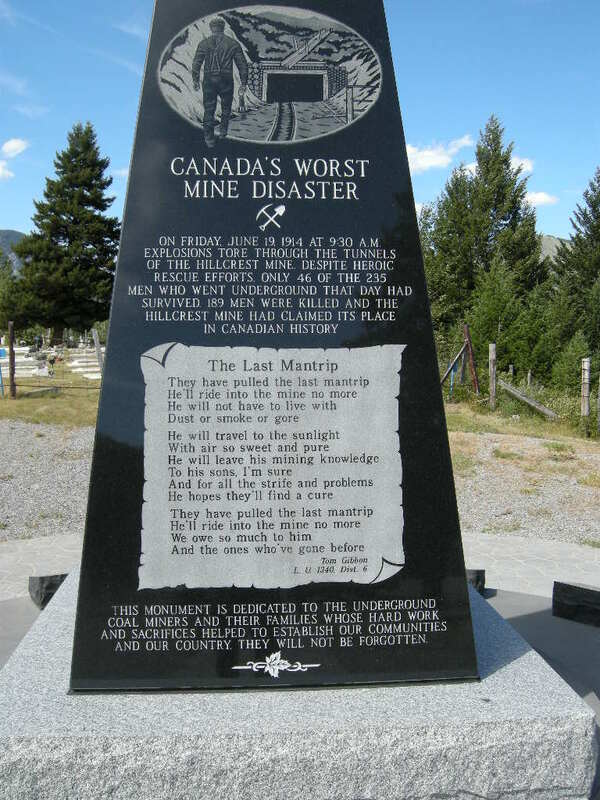 The Crowsnest Pass in Southern Alberta was and is still coal mining country. In 1914 coal was king. Virtually everything ran on coal, trains, heating for houses and industry. Demand was high and the Pass had many mines employing thousands. I visited the area recently and took in the history. I stood beside the massive grave site in Hillcrest Cemetery. It shocked me how many men were buried there. The entire Pass area reeks of history. Visit soon to take in this fascinating history and beautiful scenery. Here are some links I recommend to learn more about this tragedy and the history of the times. I especially suggest the Crowsnest Pass Museum in Coleman. They have exhibits on coal mining and the disaster in Hillcrest. They are also stewarding the centennial remembrances. You are currently browsing the WRITINGS & RAMBLINGS blog archives for June, 2014.